Elephant Seal applying natural sun screen, Big Sur, California. Wow! What a neat picture! 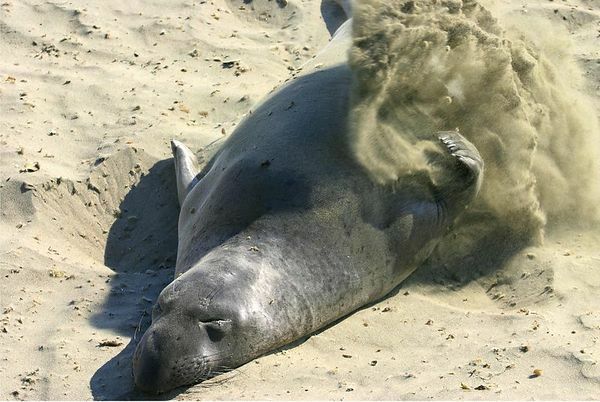 Good timing to get the sand flying around the seal. Very cool!